It is a SAP product suite to provide cloud-based solution to manage various HR functions such as business alignment, people performance, recruitment, and learning activities for all sizes of organizations in more than 60 industries. 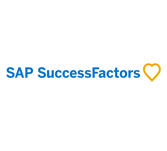 SAP SuccessFactors is a cloud-based HCM solution and developed on Software as a Service (SaaS) model. This is aimed at those who want to learn the basic concepts of SuccessFactors along with its architecture and important components. Exposure to SAP module would be helpful.